CLEARFIELD — Workhorse Brandon Orsich pitched a complete game on just two days rest and Jon Trimpey drove in three runs to propel the Clearfield American Legion Post 6 baseball team past Huntingdon 4-2 at the Lawrence Township Recreation Park Field Monday evening to advance to the finals of the Central Penn League Playoffs. Starting with a trip to Lewistown Tuesday, the Chiefs will have to defeat regular season runner-up Mifflin County twice in two days to win the championship for a berth in the Region 7 Tournament that gets under way Saturday at Mount Pleasant. Mifflin County moved to 3-0 in the playoffs by ousting Beech Creek 3-0 Monday. Beech Creek had locked up one of the CPL’s berths in the regional by winning the regular season title at 14-0. Clearfield needed a five-game winning streak to land in fourth place and now has clinched a winning record with two victories in three postseason games. Understandably, he wasn’t as stingy in either department, surrendering 11 hits while whiffing four, but he kept the visitors off the scoreboard until the seventh inning. The Chiefs had all of their runs in the hopper by the fifth inning, thanks to two key hits by Trimpey and one by Zane Morgan. Ty Bender singled and stole second ahead of Morgan’s clutch two-out single in the second frame. Trimpey made it 2-0 in the third with a single after walks to Curt Collins, Will Myers and Orsich loaded the bases. The center fielder came through again in the fifth against Brown with a double to deep left center that plated Myers and Orsich, aboard via walk and a hit respectively. That was plenty for Orsich, who gave up three hits in the seventh, including doubles by Leif Brown and Nick Holesa. Orsich (6-3) issued one free pass and hit two batters. Amazingly, the walk in the sixth inning was the first he has allowed in 46-1/3 innings over nine appearances. In contrast, the big right-hander has registered 52 strikeouts for 59-1/3 innings of work. 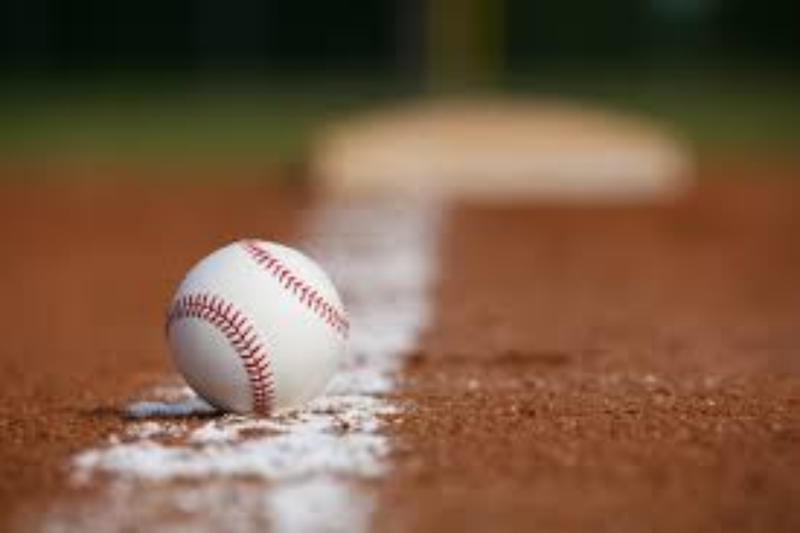 Trevor Walker had three hits while Brady Goodling and Nate Leydig had two apiece for Huntingdon, which played its fourth game in as many days, all on the road..
CPL Playoffs standings — Mifflin County 3-0, Clearfield 2-1, Huntingdon 2-2, Beech Creek 1-2, Bellefonte 1-2, State College 0-2. Hunter Price c-3b 2000, Brady Goodling 2b 4120, Trevon Walker ss 4130, Leif Brown p-c 3011, Nick Holesa 1b 4011, Jared Showalter rf 3010, Brian McLaughlin 3b-lf 3010, Nate Leydig lf-p 3020, Nick Zanic cf 3000. TOTALS: 29 2 11 2. Josh Sorbera lf 2000, Thayne Morgan lf 1010, Curt Collins 2b-1b 2000, Tommy Hazel 1b 1000, Will Myers 0200, Marcus Luzier 3b 3010, Brandon Orsich p 3110, Jon Trimpey cf 3023, Reese Wilson cf 1000, Ty Bender rf 2110, Jake Sorbera rf 0000, Jarrit Wagner rf 0000, Seth Bumbarger 1b 2000, Justin Fedder 2b 1000, Zane Morgan c 3011. TOTALS: 24 4 7 4. DP – Clearfield 1 (Fedder and Hazel). LOB – Huntingdon 9; Clearfield 12. 2B – Walker, Holesa. 3B – Walker. SB – Bender. CS – Price (by Z. Morgan). Huntingdon – Brown 4-1/3 IP, 6 H, 4 R, 4 ER, 5 BB, 3 K; Leydig 1-2/3 IP, 1 H, 0 R, 0 ER, 0 BB, 0 K.
Clearfield – Orsich 7 IP, 11 H, 2 R, 2 ER, 1 BB, 4 K.
HB – Leydig 3 (Myers, Luzier, Ja. Sorbera); Orsich 2 (Price 2). W – Orsich (6-3). L – Brown.